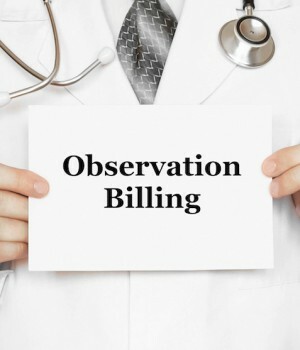 Before you read the article, check out what our readers knew about billing observation status. OBSERVATION PATIENTS make up an increasing percentage of many hospitalists’ workloads. While the era is long gone when families could park an elderly parent in an observation bed while they went on vacation (yes, that really used to happen! ), plenty of issues around observation services still pose a challenge. But at first glance, billing either initial (99218– 99220) or subsequent (99224–99226) observation services seems pretty straightforward. After all, while those charges are for outpatient services, they are not divided into “new” or “established” categories like many E/M services. However, there are nuances to observation billing that can trip you up. Let’s take a look at some of those issues. Observation services provided for the convenience of the patient, the patient’s family or the physician are not considered reasonable or necessary and, therefore, won’t be paid. 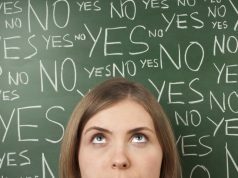 Standing orders for observation following outpatient services are a big no-no. Also off limits: observation services for routine stays after surgery or after diagnostic tests or outpatient procedures done in the hospital—unless a physician documents that a patient’s condition is unstable. In that case, observation care would be warranted. And standing orders for observation following outpatient services are a big no-no. Medicare takes a very strong position on standing orders and the lack of medical necessity those demonstrate. There is, for instance, no clinical indication for every patient with a history of sleep apnea to routinely be assigned to observation status. But there is the question of who can bill for observation services. If you are the physician of record (the doctor who wrote the order for observation services), you can report initial and subsequent observation care services, as well as observation discharge. Discharge from observation is reported using CPT code 99217. Say, however, that you are not the doctor who wrote the observation order, but you are a member of the same group and same specialty. May you bill observation services for a patient? Medicare isn’t clear on this, but the Centers for Medicare and Medicaid Services (CMS) does view physicians in the same practice and of the same specialty as a single physician. 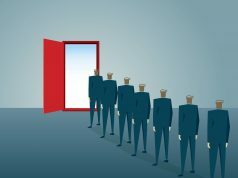 While I’m not finding any published guidance that specifically says that doctors in the same group and specialty can bill observation services as the physician who ordered observation, my gut says they could. But I’m reluctant to claim that “my gut” is definitive, so check with your billing department or your Medicare carrier as to how to proceed. If you are not the physician of record and cannot bill observation codes for a patient, you should instead report an outpatient E/M service: a new office visit for the initial encounter (99201-99205) or an established office visit for subsequent encounters (99212-99215). That would apply, for instance, if you’re called in to consult on an observation patient placed there by a doctor not in your group and specialty. Observation care raises other questions. Suppose you place a patient in observation but need to admit that patient the next day. Can you bill both a subsequent observation service on day 2 and the inpatient admission? No, you can’t. Hospital services are paid on a “per diem” basis, so you can bill only an initial inpatient admission code (99221–99223) on the date of admission. That would be true even if you performed a subsequent observation service for that patient on the second calendar date. You’d bill initial observation care (99218-99220) for the patient’s first day in observation, then an inpatient admission code the second day. Remember that you need to support through your documentation in the patient’s record the type of service and level of service selected for both the observation stay and the inpatient admission. And when a patient is admitted to the hospital, you cannot bill for an observation discharge that same calendar day. That code can be used only if patients are discharged home, not transferred to the floor. 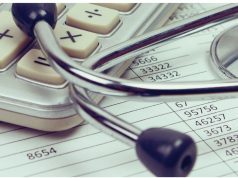 Then there’s this academic scenario: how to bill for an observation patient first seen by a resident on day 1 at 10 p.m., but not by an attending until day 2 at 8 a.m. If the patient is ready for discharge on day 2 as well, should the attending bill the second day as a same-day admit and discharge (99234-99236)? 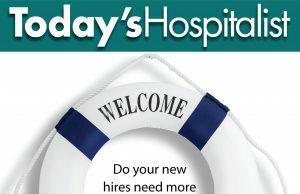 The answer is yes: You must base your claim on the supervising physician’s date of service, so you can’t bill for the first day when only the resident saw the patient. In this case, day 2 would be considered the only date of service. Another wrinkle: Medicare has an eight-hour minimum for physicians reporting observation same-day-discharge codes (99234-99236). If a patient is in observation for less than eight hours on one calendar day, you would bill initial observation care codes (99218–99220). But you can’t bill a discharge for that patient. If, however, an observation stay is less than eight hours but spans two calendar days, physicians should bill initial observation care (99218-99220) on day 1, then the discharge code (99217) on day 2. For patients in observation for at least eight hours but fewer than 24 hours on the same calendar date, doctors can bill same-day admission and discharge (99234–99236). For patients in observation more than 48 hours, the physician of record would bill an initial observation care code (99218–99220), a subsequent observation care code for the appropriate number of days (99224–99226) and the observation discharge code (99217), as long as the discharge occurs on a separate calendar day. One final note: Beginning this year, the CMS requires all hospitals to inform Medicare beneficiaries via a Medicare Outpatient Observation Notice (MOON) form when they are receiving observation services. Such forms must be delivered to Medicare patients (or their representatives) who have been in observation for more than 24 hours—and the forms may not be provided any later than 36 hours after observation services have begun. Sue A. Lewis, RN, CPC, PCS, is a coding manager for a nonprofit health plan in the Midwest. Send your billing and coding questions to slewis56@q.com, and we may answer them in a future issue.